Perfect Black results in Cinematic Color - LG OLED pixels turning on and off individually for truly infinite contrast. 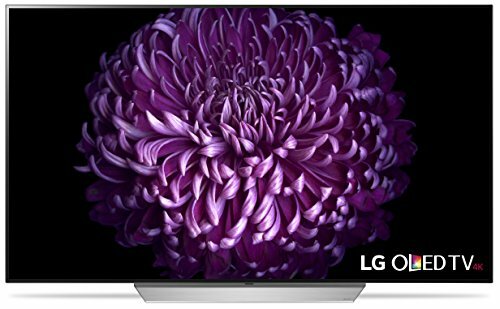 LG OLED TV is the ultimate expression of a cinema-quality experience in the home. Premium content achieves the pinnacle of picture quality thanks to Active HDR with Dolby Vision. The Dolby Atmos audio is just as impressive, surrounding the audience as in the most advanced theaters. Disclaimer: Dolby, Dolby Atmos and the double-D symbol are registered trademarks of Dolby Laboratories. Dolby Vision is a trademark of Dolby Laboratories. Dolby Atmos - Straight from state-of-the-art theaters to the home, Dolby Atmos creates sound that can appear to come from anywhere. Crickets all around. Explosions from above. A villain laughing behind. With LG OLED TV, audio becomes an incredibly realistic, immersive experience. Wide Viewing Angle - From the front or from the side, every seat in the TV room gets a clear, vibrant picture without washed-out tones. The unique design of LG OLED TV assures that any view is a great one, not just for those in the center. webOS 3.5 Smart TV - Queue up movies, TV shows, online content and more from top content providers then toggle between them with an impressively intuitive interface. When paired with the LG Magic Remote, seeing all your favorites is as easy as a flick of the wrist and the press of a button. Disclaimer: Please check with content providers for required bandwidth to stream videos. Smart service on product is subject to change. Some apps that appear on the screen image may not be preinstalled; Internet connection is required for download. Boasting Active HDR with Dolby Vision, the C7 can display intense cinematic colours against perfect black without the need for a backlight, for an extremely slim design that complements any home. Now with Dolby Atmos audio for a truly theatre-quality experience. Dolby, Dolby Vision, Dolby Atmos and the double-D symbol are trademarks of Dolby Laboratories. 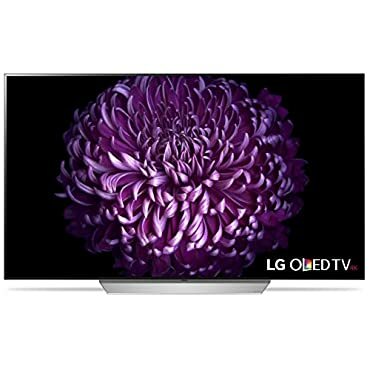 Watch your favorite films in true color and cinematic clarity with this LG OLED 4K TV, which features a perfect black backpanel so every shadow and hue shows up. Active HDR with Dolby Vision create scene-by-scene perfection the way it was meant to be viewed with colors portrayed in lifelike reproduction, and Dolby Atmos creates a matching sound experience that brings the theater home. Smart technology through webOS 3.5 connect you to the web for streaming video and browsing. Last updated: April 19, 2019 at 11:25 EST. Pricing information is provided by the listed merchants. GoSale.com is not responsible for the accuracy of pricing information, product information or the images provided. Product prices and availability is subject to change. Any price and availability information displayed on amazon.com or other merchants at the time of purchase will apply to the purchase of the product. As always, be sure to visit the merchant's site to review and verify product information, price, and shipping costs. GoSale.com is not responsible for the content and opinions contained in customer submitted reviews.